Perfect day to go to the “Rally d’Alsace” where the crowded forest was alive for only one day! It was located in a military zone in Haspelschiedt – and its surroundings are perfect for a walk or some moutain bike trip. So, sunny weather, walking around – it was really interesting to go there and be part of the “rally community”. Have a look@the results of the competition! Here on this page is a short movie during the Rally – more info: go directly on the official website. Like lots of other people that came there on sunday, I had only one opportunity to shoot one good pic of S. Loeb. There were supposed to be 2 special races and the 2nd has been cancelled – too many people for sure. 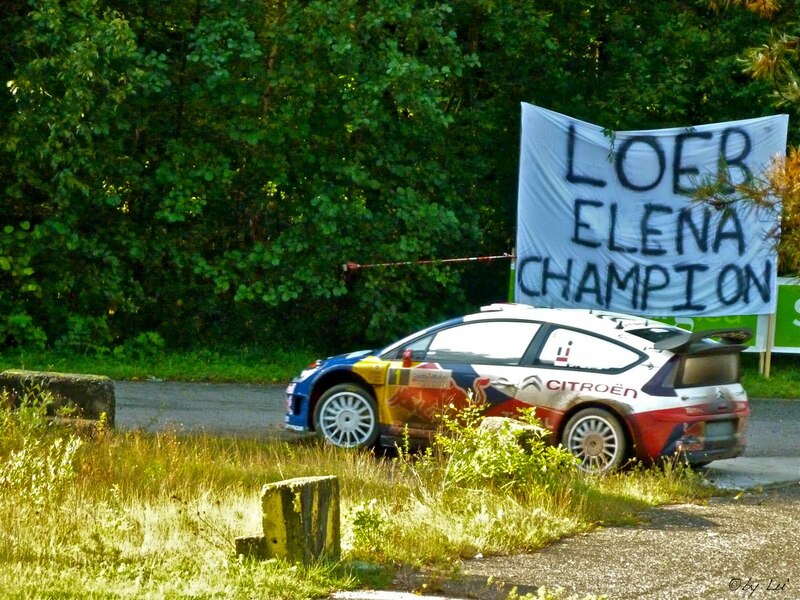 Sebastien Loeb is now seven times world champion – in his native country!